Save the date cards are a great way of informing your guests that you’ve set the date for your wedding day. 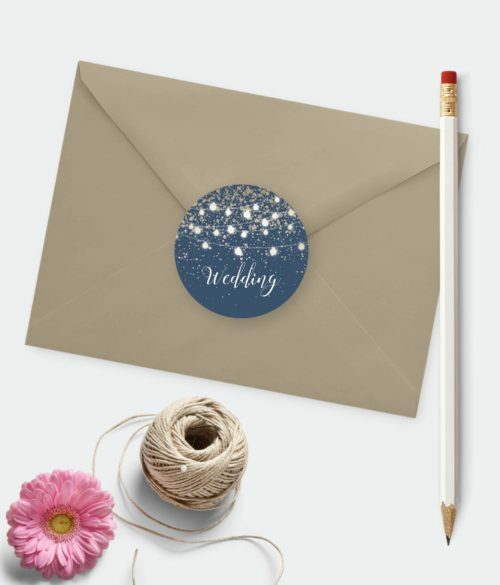 They are sent out before your wedding invitations to let everyone know simple details such as where and when your wedding day will be. Save The Date Cards are perfect if you plan to get married at home or abroad, or if you are planning to get married at a busy time of the year. They allow your guests to see how much time and money they may need to budget. 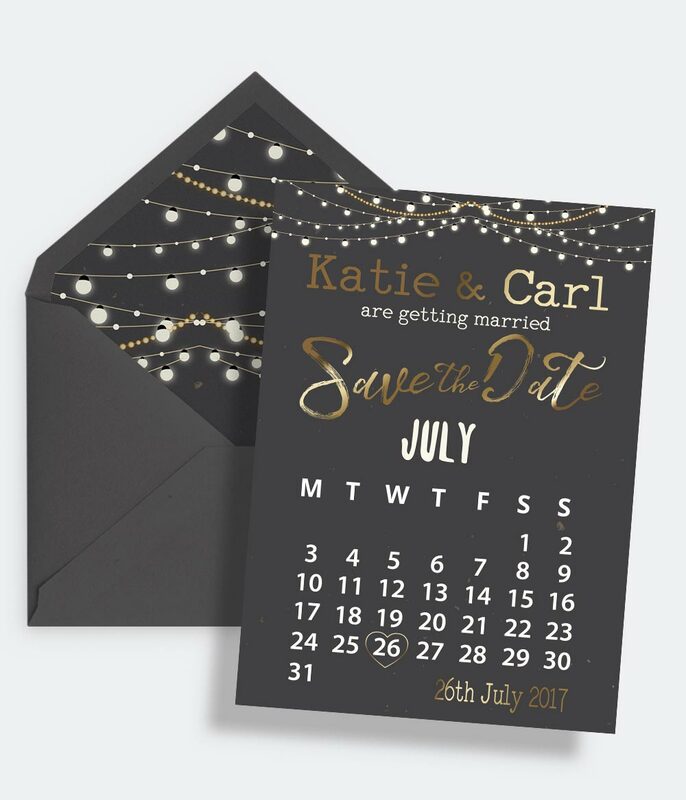 If there is a particular size of save the date cards that you need that is not a problem, we can create save the date cards in any size. 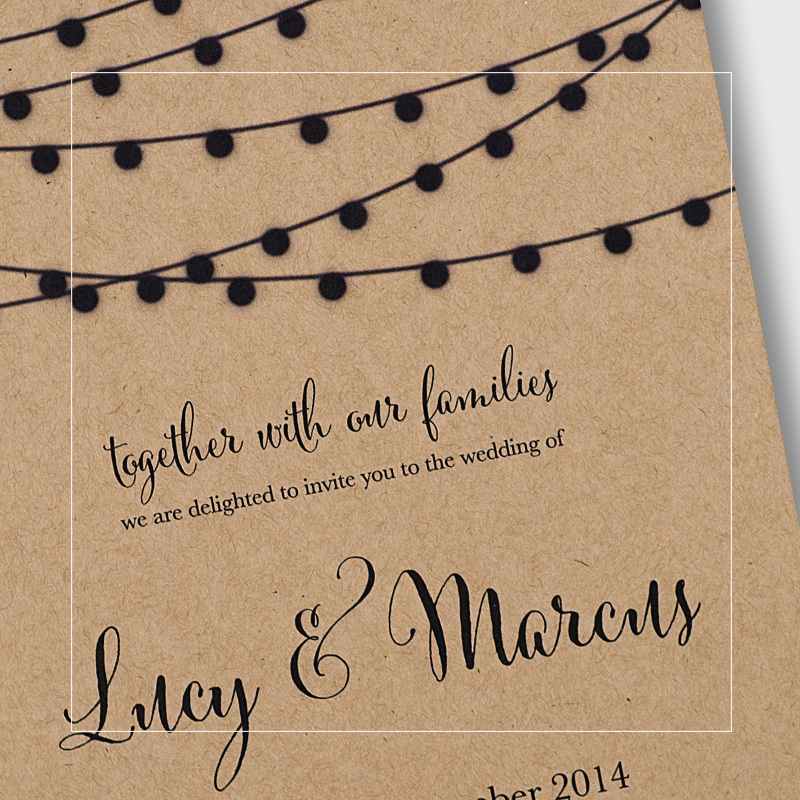 Our flat Save the Date cards are A6 (Quarter of A4) 105mm x 148mm. 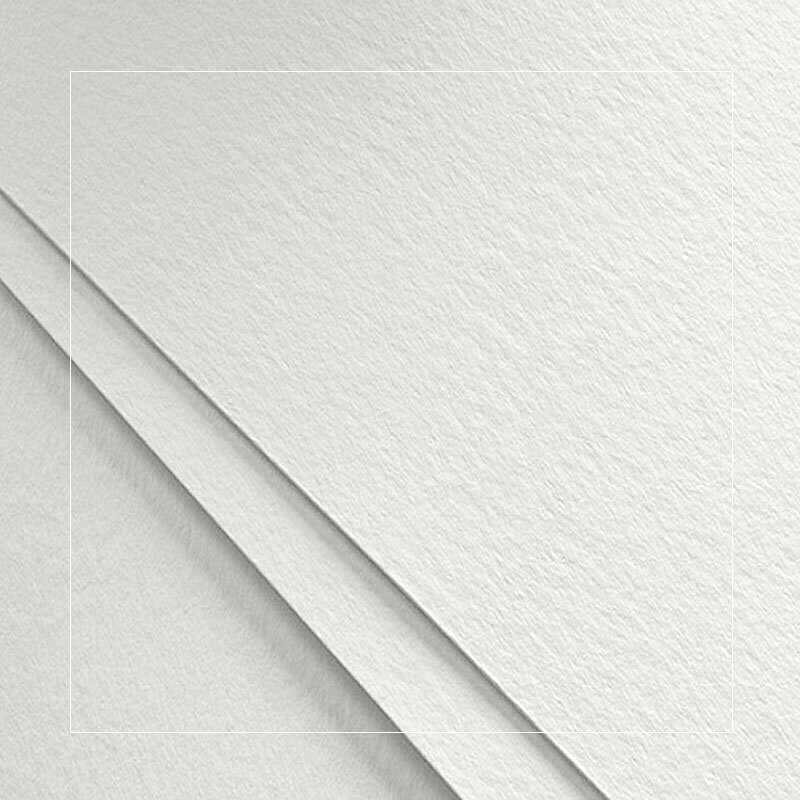 White envelopes are included with all Save the Date Cards. 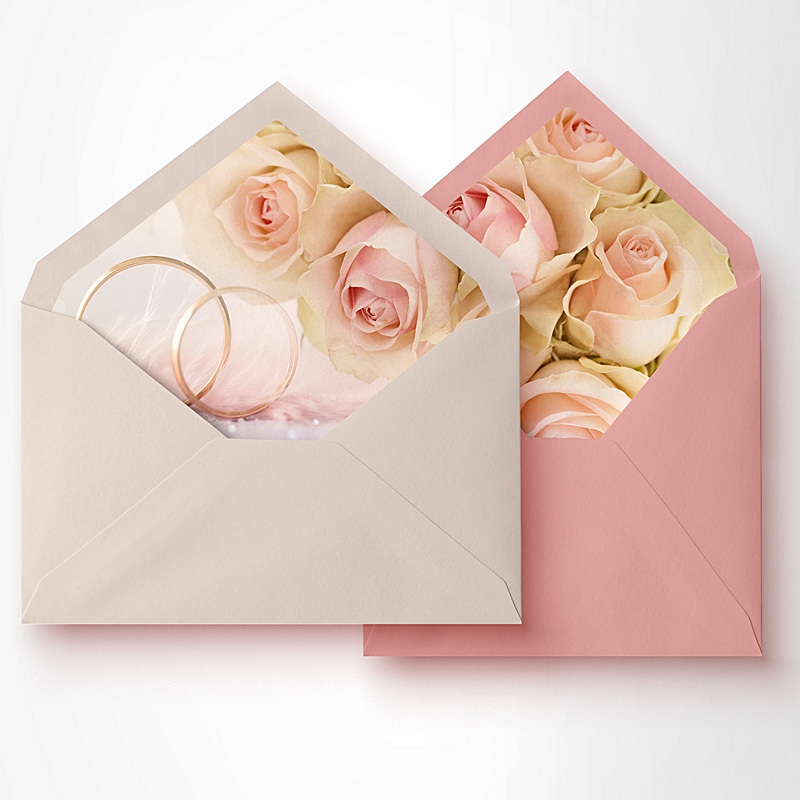 Get that WOW factor by adding a paper lining to the inside of your envelope that matches your invite. This inner layer is the first thing guests will see when they excitedly tear open your envelope. The printed envelope liner is glued to the inside of the envelope. 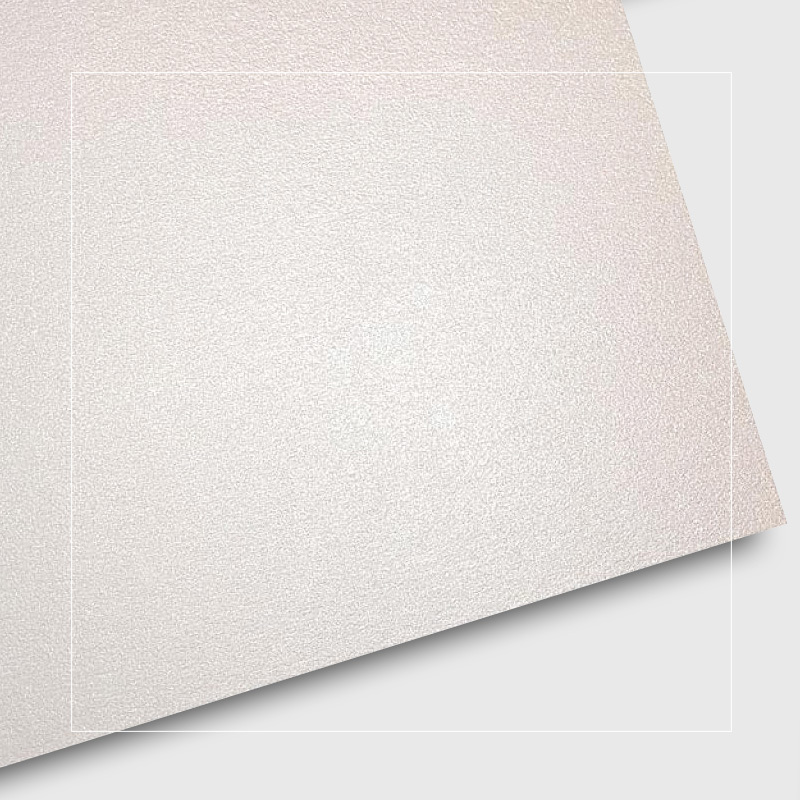 We have a huge selection of coloured, metallic and pearlescent shimmer envelopes available to match your invitations. 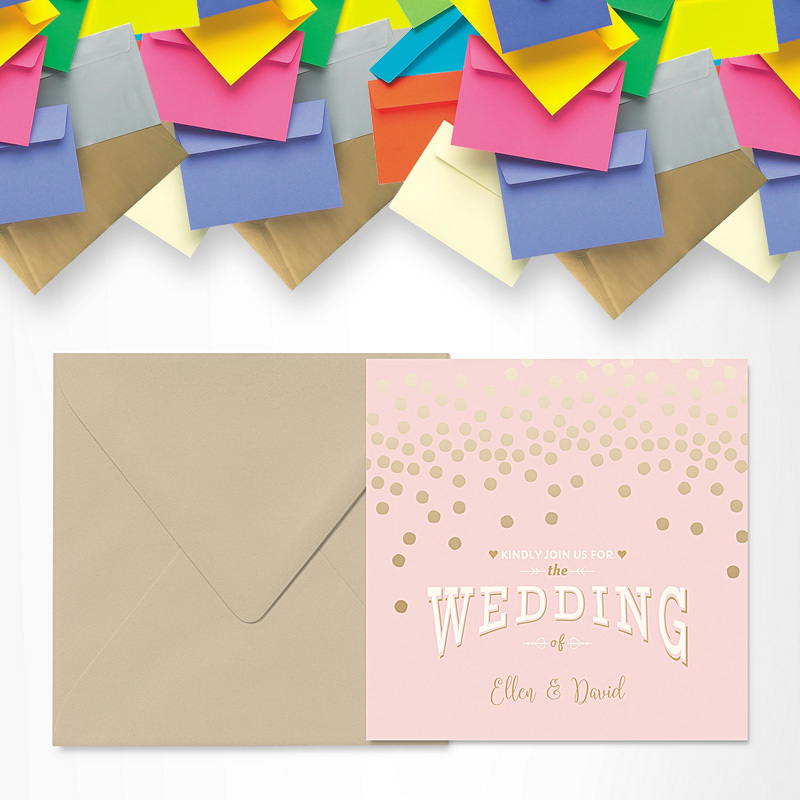 Make a lasting impression with your invitation and add a matching envelope to set off your theme.